Born on 19 October 1955, in Monterey, Mexico, Ricardo Salinas Pliego dons the hat of a successful entrepreneur and is the chairman and founder of the conglomerate, Grupo Salinas, which acts as a management development decision forum and platform for the leaders of its sister companies, Azteca America, Banco Azteca, Grupo, Elektra, Seguros Azteca, Afore Azteca, lusacell, Unefon, TV Azteca, [email protected] and Azteca Internet. So, just how rich is Ricardo Salinas, as of 2017? 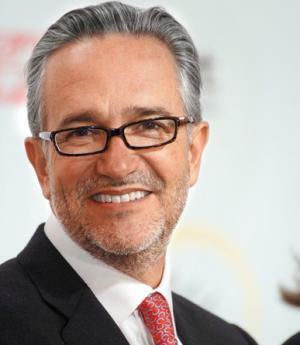 Authoritative sources estimate Ricardo Salinas´s net worth to be over $8.9 billion. He has been able to accumulate most of his fortune through the success of his two major Mexican companies, TV Azteca and Grupo Elektra. Born to Hugo Salinas Price and Esther Pliego de Salinas, Ricardo had a silver spoon upbringing. His father served as the CEO of Grupo Elektra, a company which was founded by Salinas´s great-grandfather, Benjamin Salinas, previously called Salinas & Rocha. Ricardo attended the InstitutoTecnologico de Estudios Superiores de Monterrey, and graduated with a bachelor´s degree in accounting. He pursued his studies furthermore, enrolling himself at Tulane University to acquire his MBA, after which he began his career with Elektra as an imports manager. Only aged 32, Ricardo was appointed as the CEO of Grupo Elektra, succeeding his father; at the time the company was struggling financially, largely owing to the devaluation of the currency and the economic crisis. Ricardo successfully turned the company´s fortunes around by restricting its operations. In 1993, Ricardo and a group of trusted investors founded the media company, TV Azteca. The man devoted the next seven years of his life to the company and played an instrumental role in its growth. His efforts paid major dividends as TV Azteca started monopolizing Mexico´s commercial viewing, capturing around 40% of Mexico´s total viewing population. Salinas also targeted the Hispanic community in the States, and thus launched Azteca America in Los Angeles in July 2001. As of now, the broadcaster is present in more than 60 U.S. markets! In the year 1997, Salinas gave back to the community by creating Fundacion Azteca, a non-profitable organization established to preserve the environment and improve the living standards of Mexicans; the organization focuses on the health and educational sectors. In October 2002, Ricardo´s Company, Grupo Elektra, successfully launched Banco Azteca; now the bank is one of the biggest in Mexico in terms of coverage, boasting more than seven million deposit accounts and eight million borrowers. In November 2007, Ricardo teamed up with FAW, one of China´s largest car builders, to launch GS Motors in Mexico, with the primary objective of making vehicles available for purchase at accessible prices, in order to consolidate the middle class of Mexico. Talking about his personal life, Salinas Pliego has been married to Maria Laura Medina since 2001. The man has six children (including twins); three of his children are from his previous marriage to Ninfa Sada Garza.